The coho salmon (Oncorhynchus kisutch; Karuk: achvuun) is a species of anadromous fish in the salmon family, one of the several species of Pacific salmon. Coho salmon are also known as silver salmon or “silvers”. The scientific species name is based on the Russian common name kizhuch (кижуч). 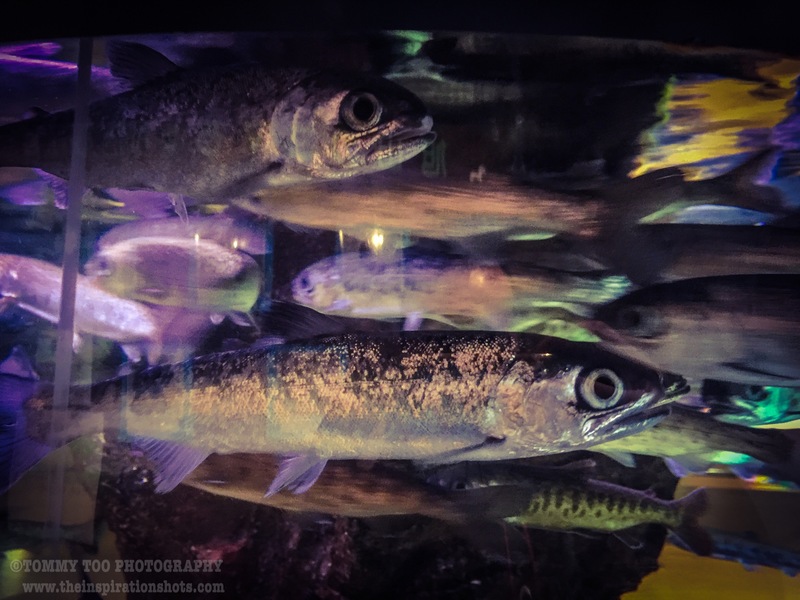 During their ocean phase, coho salmon have silver sides and dark-blue backs. During their spawning phase, their jaws and teeth become hooked. After entering fresh water, they develop bright-red sides, bluish-green heads and backs, dark bellies and dark spots on their backs. Sexually maturing fish develop a light-pink or rose shading along the belly, and the males may show a slight arching of the back. Mature adults have a pronounced red skin color with darker backs and average 28 inches (71 cm) and 7 to 11 pounds (3.2 to 5.0 kg), occasionally reaching up to 36 pounds (16 kg). They also develop a large kype (hooked beak) during spawning. Mature females may be darker than males, with both showing a pronounced hook on the nose. The traditional range of the coho salmon runs along both sides of the North Pacific Ocean, from Hokkaidō, Japan and eastern Russia, around the Bering Sea to mainland Alaska, and south to Monterey Bay, California. Coho salmon have also been introduced in all the Great Lakes, as well as many landlocked reservoirs throughout the United States. In their freshwater stages, coho feed on plankton and insects, then switch to a diet of small fish upon entering the ocean as adults. Spawning habitats are small streams with stable gravel substrates. Salmonid species on the west coast of the United States have experienced dramatic declines in abundance during the past several decades as a result of human-induced and natural factors.